Pro-face Brand FP5000 Series monitors offer beautiful displays in 10.4", 12.1", 15", and 19" sizes. 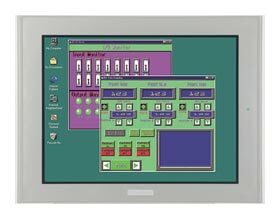 Find Price and Availability on any Pro-Face Pro-Face FP5000 Series Flat Panel Monitor part by clicking on the Buy It Now button. If you cannot find what you are looking for, call our Customer Support team at 1-866-599-6523 or email at sales@cimtecautomation.com.